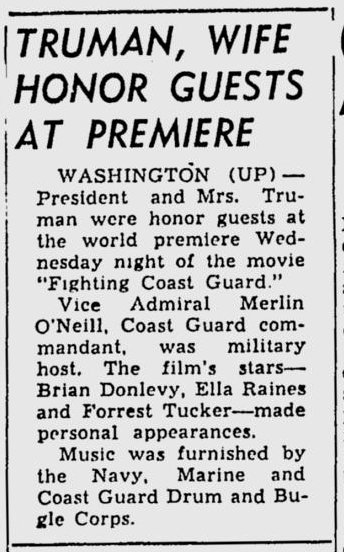 In 1951, Ella Raines was one of the stars of the movie Fighting Coast Guard. 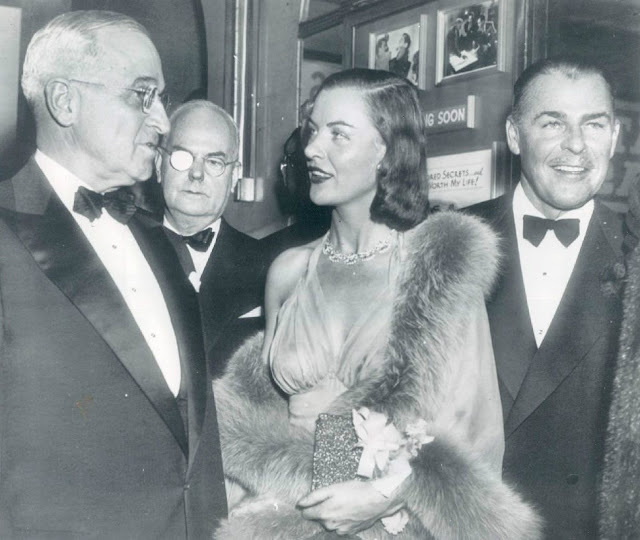 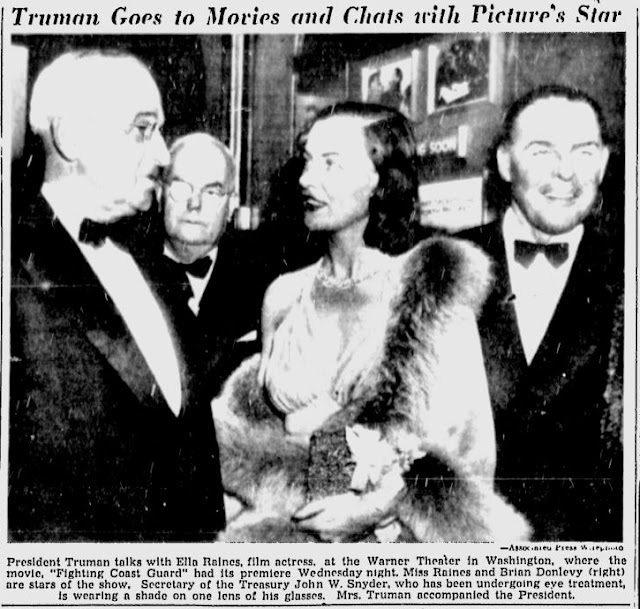 Being a patriotic film, President Harry S. Truman lent his support by attending the premiere of the film at the Warner Theater in Washington. His attendance made the national news and a photograph of him chatting with Ella Raines was featured in many newspapers at the time.